Start by rolling a piece of card into a tube the length and diameter of a pencil. Finish it off with a few papers wrap and seal to hold it together. 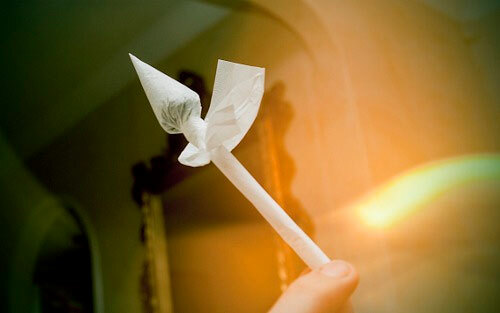 Lick the gum of one paper and stick it to another making the joint wider not longer. When finished it should be a square with gum on one side of it. Take the square you just made and fold it diagonally making a triangle. Lick the remaining gum and seal over. Now you should have a pocket shaped like a cone. Now you ready for the good stuff. You want to pack your cone evenly and tight about a finger’s thick from the top. The better you do this will ensure the best experience preventing running which can be a chore on The Tulip. Final we need to secure your card straw to the cone. Start by twisting the open end to make a hole the size of the tube. Finish it off buy tying your hemp nice and tight so there is no leaking. 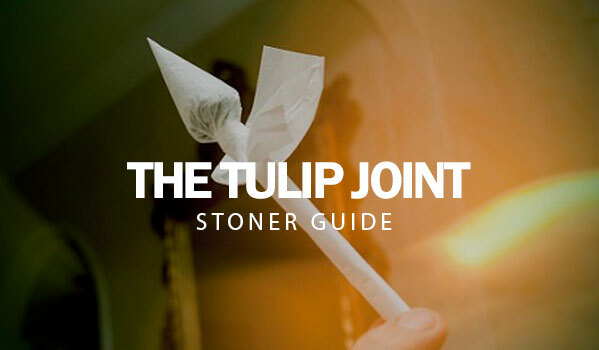 This entry was posted in Stoner Guide and tagged joint, tulip.